In 2008, the Association of Learned and Professional Society Publishers (ALPSP) surveyed its members to find out what they thought about the long-term preservation of digital content. More than 90 per cent of the publishers surveyed believed this issue needed to be addressed urgently, bringing much relief to resource-stretched, cash-strapped librarians. Two years on, Oxford University Press (OUP) has replicated the survey. This time though the respondents were its customers, the librarians. As the publisher’s senior marketing manager, Colin Meddings, says: ‘We wanted to ask the librarians the same questions and get a complementary view of what they think and what they are doing.’ And it would appear that librarians and publishers have, on the whole, similar concerns. In both surveys, preservation refers to ensuring electronic scholarly literature remains accessible to future scholars, researchers and students. So, if a publisher ceases operations, a title closes down, back issues are no longer offered or a publisher’s delivery platform fails following catastrophic events such as flooding or earthquakes, the content is preserved. To this end, the survey presented librarians with three options, with which they could either agree or disagree. First, should publishers fund initiatives with libraries having the option to subscribe at a lower rate in exchange for no reassurance of long-term preservation of digital content? Second, should libraries contribute to publisher preservation initiatives, whose costs may be rolled into subscription price? And third, should libraries take on the costs of digital preservation themselves? Unfortunately the results were inconclusive. Meddings states that there was a clear preference for libraries and publishers to work together on funding preservation initiatives. Meanwhile, an equal number of librarians agreed and disagreed that publishers should take sole responsibility for payment. And similar numbers agreed and disagreed that libraries should fund initiatives. 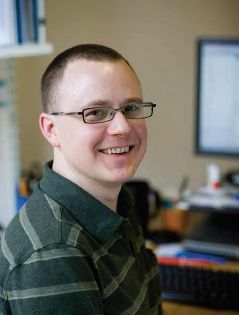 Neil Grindley, digital preservation programme manager at JISC, (the UK’s Joint Information Systems Committee), is not surprised by the librarians’ mixed reactions on both responsibility and funding. He also acknowledges views that national libraries and not-for-profit businesses could take responsibility for long-term digital preservation, but is keen to highlight the leading roles the British Library and the UK’s National Archives have already taken in a vast array of activities. One example is the British Library-led ‘Planets’, Preservation and Long-term Access through Networked Services. This four-year project was co-funded by the European Union under the Sixth Framework Programme and aimed to address core digital preservation challenges. The recently-completed initiative resulted in several web tools including its ‘Planets Testbed’ that allows the user, such as a design team or IT department in a library, to analyse different tools for digital preservation and assess which approach is best for them. Like Meddings, Grindley is very aware of the issue of payment for digital preservation activities, but points to a recent report ‘Sustainable digital preservation and access’, published by the Blue Ribbon Taskforce, a US digital preservation organisation. The report asks ‘how do we pay for preservation?’ and outlines a number of existing funding mechanisms that can work, including internal budgeting within a business for proprietary digital content and fee payment to providers of preservation services, such as Portico. To ensure sustained progress in the field of digital preservation, both Meddings and Grindley are adamant that collaboration, be it between publishers, librarians, national libraries or not-for-profit organisations, is crucial. As Meddings points out, the OUP survey revealed, at the very least, that librarians are keen to collaborate with publishers on a wide range of preservation issues, particularly in method and funding. He does believe, however, that involving too many players in digital preservation activities would be counter-productive and states that all an organisation really needs to do is recognise it has a problem and devolve that problem to somebody else. By 2009 more than 100GBytes of data had already been created for every single person on the planet, according to estimates by researchers involved in the European Union funded project ‘Planets’ (Preservation and Long-term Access through Networked Services). Seamus Ross, a professor at the Faculty of Information, University of Toronto, Canada, says our awareness of the importance of digital preservation has rocketed in the last 10 years. As Ross explains, databases contain huge volumes of data and represent many processes, making them very complex to preserve. And while he points to some research already underway including projects at the University of Edinburgh, Scotland, and the Swiss Federal Archives, he claims much more is needed.